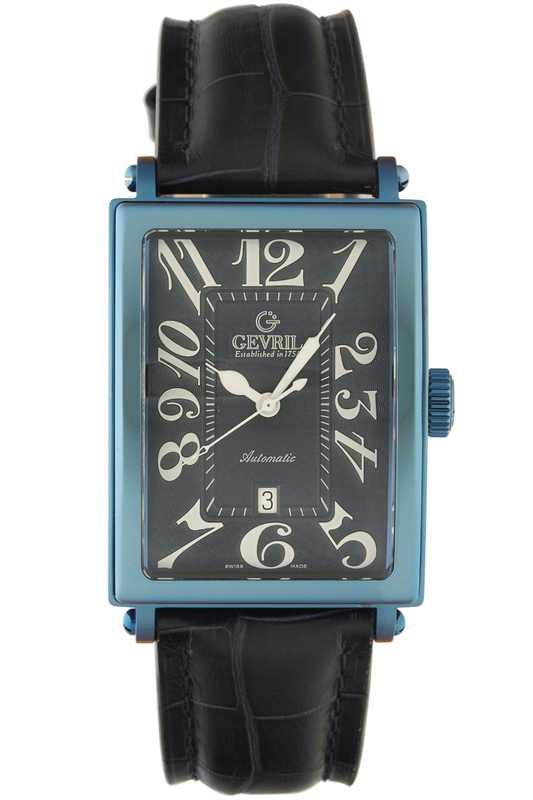 The Gevril Avenue of Americas series of timepieces has long stood as the brand’s flagship collection, with its handsome mix of New York inspired contours and classic 1930s art deco styling. The latest variation – Reference 5006A – furthers this persona but struts out a jazzed up case color that is more befitting of an evening at the Village Vanguard than a day in your average Sixth Avenue boardroom – and it’s all about blue. There is no question that blue is popular in watchmaking. An overview of new watches released at the Baselworld fair over the past couple of years reveals several blue variants from brands both large and small; but, usually it’s the dial that gets the blue treatment. In the instance of the 5006A, it’s the case. Sure, Reference 5006A has the unmistakable characteristics of its Avenue of Americas predecessors including the 44 x 34 mm rectangular and slightly curved case, known both for its style and comfort. The unmistakable addition is the blue PVD coating applied to the bezel, crown and buckle. The dial and strap are dark blue to match. The overall effect is to add a contemporary and playful note to what is otherwise a purely sophisticated collection. Other qualities the 5006A shares with previous editions include a guilloche pattern across the entire dial surface and scripted numerals, which in this case are white. The contrast between the numerals and dial provides excellent legibility. The characteristic cathedral-style hands are luminous and the second hand has a skeletonized arrowhead. The caseback is a mix of polished and brushed 316L stainless steel, affixed by eight screws. An exhibition window provides a clear view of the movement rotor, which is decorated with Geneva stripes and personalized with the Gevril logo. Each caseback is individually engraved with the limited edition number – the Gevril Avenue of Americas Reference 5006A Automatic is a limited edition of 500 pieces. 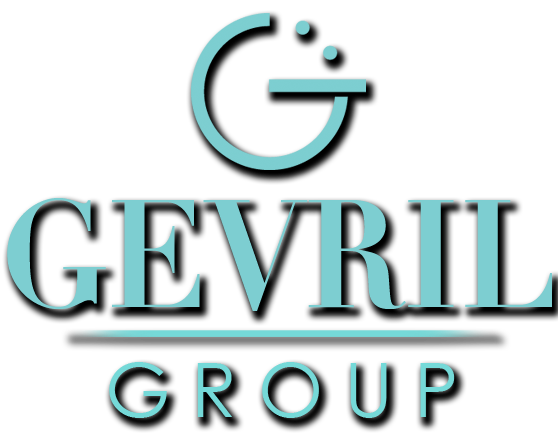 The blue PVD crown is initialed with the Gevril logo while the blue PVD buckle is initialed with the Gevril name. The 5006A is three-handed with a date function, as determined by the ETA 2892 movement inside; simply put, the 2892 is one of the most serviceable automatics available today. The watch is water resistant to 165 feet and the crystal, both front and back, is sapphire. For those with a taste for more complicated timepieces, the Avenue of Americas collection still contains several including the Reference 5022 Automatic GMT, the Reference 5110 Limited Edition Rose Gold Chronograph and the very limited Reference 5850 Serenade Dual Time Zone Automatic. But for those looking for a faithful time-teller with a confident splash of color, the 5006A is a brilliant choice. 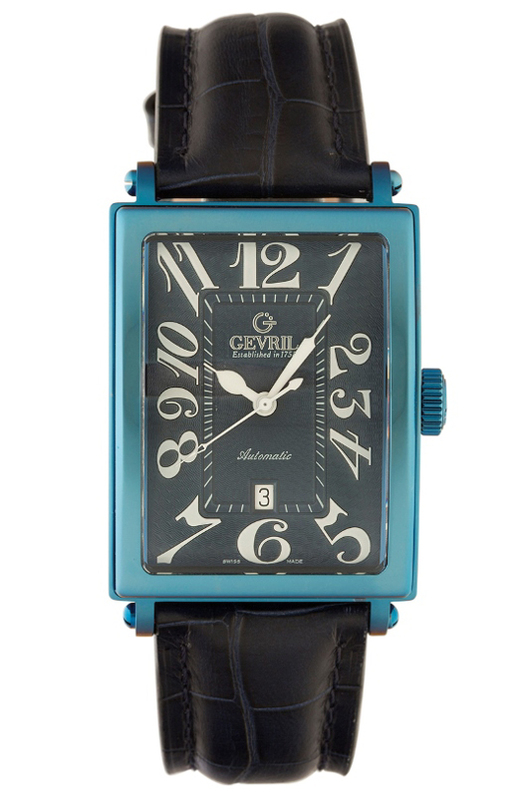 Hop on this blue train by visiting an authorized Gevril watch dealer today. 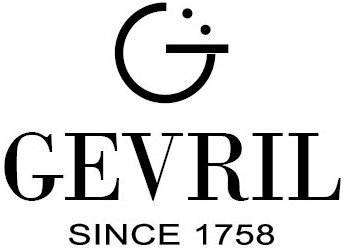 You can also follow Gevril Watches on Facebook and Twitter Please subscribe to the Gevril Group newsletter and blog.